And it makes a comeback! Nope, I’m not talking about the Destiny’s Child performance at the Super Bowl halftime show. Beyonce was drop-dead amazing though! But anyway, that’s beside the point. My HLHB Trend-Catcher was finally able to finish a week in the green after two straight weeks of defeat! 1. Short at 1.3445. Closed at 1.3466 due to new crossover. -21 pips. 2. Long at 1.3446. Closed at 1.3447 due to new crossover. -1 pip. 3. Short at 1.3447. Closed at 1.3457 due to new crossover. -10 pips. 4. Long at 1.3457. Closed at 1.3447 due to new crossover. -10 pips. 5. Invalid signal since RSI was not below 50. 6. Long at 1.3483. Closed at 1.3552 due to new crossover. +69 pips. 7. Short at 1.3552. Closed at 1.3574 due to new crossover. -22 pips. 8. Long at 1.3574. Closed at 1.3626 when 50-pip trailing stop was hit. +52 pips. 9. 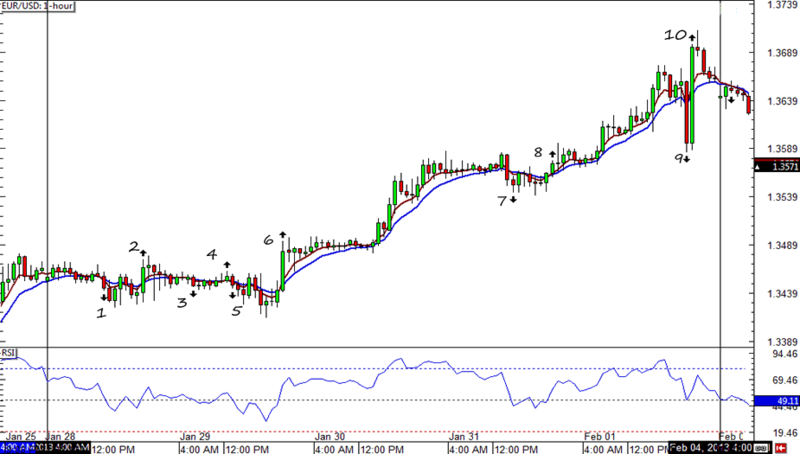 Invalid signal since RSI was not below 50. 10. 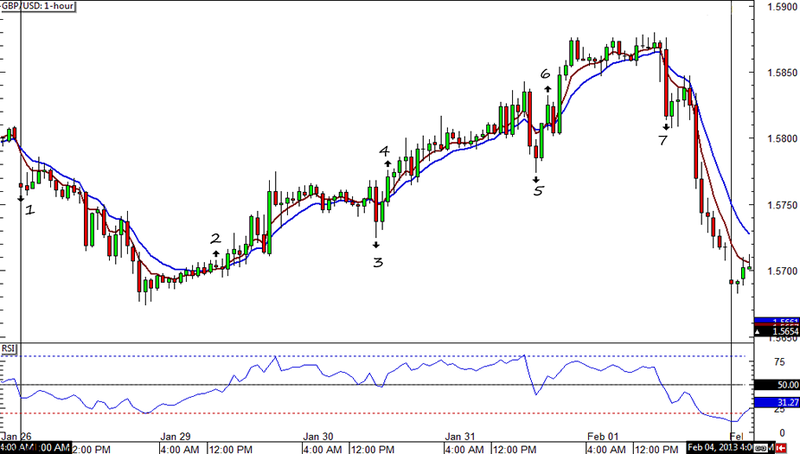 Invalid signal since RSI was still above 50.0 when the crossover occurred. 1. Short at 1.5763. Closed at 1.5703 due to new crossover. +60 pips. 2. Invalid signal since RSI was still below 50.0 when the crossover occurred. 3. Short at 1.5737. Closed at 1.5771 due to new crossover. -34 pips. 4. Long at 1.5771. Closed at 1.5793 when 50-pip trailing stop was hit. +22 pips. 5. Short at 1.5785. Closed at 1.5825 due to new crossover. -40 pips. 6. Long at 1.5825. Closed at 1.5830 when 50-pip trailing stop was hit. +5 pips. 7. Short at 1.5817. Closed at 1.5728 due to new crossover. +89 pips. Even though both pairs still incurred losing trades, the winners were able to more than make up for the losers. If the market continues to trend, I wouldn’t be surprised to see the Trend-Catcher finish another week in the green. I’ll keep my fingers crossed!